Why should you put so much effort into Pinterest?? Because it's how your blog grows!! Don't forget that every single one of your posts needs a picture!! Not only do they make your posts look better, they also mean that your post can go on to Pinterest. I use Canva.com and either their Social Media or Pinterest Graphic templates. Make sure that your pictures are pretty but more importantly easy to read. And add your website name somewhere on every picture just in case anyone tries to steal it. I actually just found out that there's a Canva app too, so you can create graphics and photos for your posts on your iPad. Take notice to any viral pins on Pinterest and try to get some inspiration from them in either their photo, fonts, or wording. Just keep in mind that Pinterest is to pin pictures, and not just words. so try to get a good combo of both. Also, I just use either my iPhone or iPad for taking pictures, so don't think you need a fancy DSLR camera or anything. And the editing in the regular camera app works just fine to enhance your pictures. I do suggest to try to get as much natural lighting as possible, or even move a lamp by where you're taking a picture (this is the lamp I use). 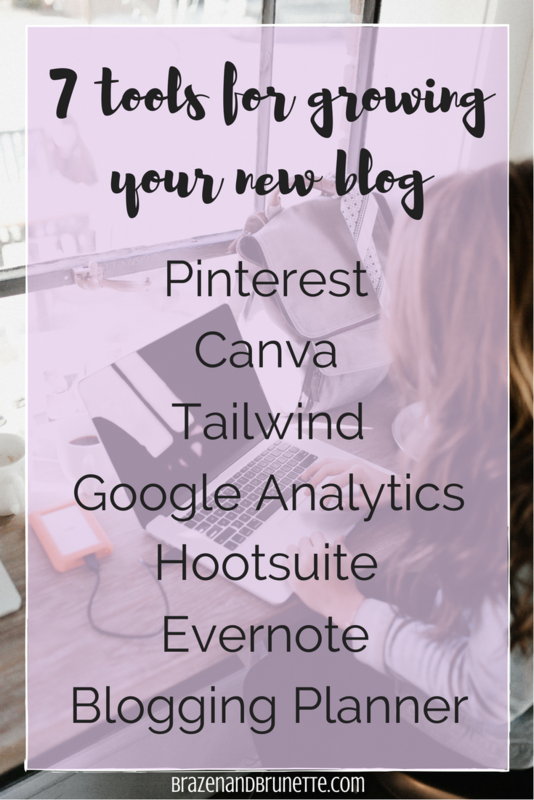 I didn't start using Tailwind until this year because I didn't think of myself as a "serious" blogger enough to be using blogging tools. 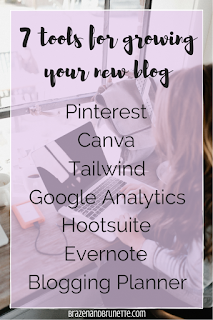 Tailwind helps grow your Pinterest following (which I just told you is the #1 way my blog grew) by using analytics to see when your audience is most active and on which boards. So you plan ahead pins and it will pin them when they're more likely to get noticed and repined. This sounds unnecessary but after using it I noticed that my pins were getting repined much faster and I was gaining way more followers since there was a strategy behind it. It does cost $9 a month if you pay for a year at once or $15 on a monthly basis, so keep that in mind. But if you use this referral link you'll get one month free!! If you decide to monetize your blog (that's a whole other post), then you might consider this as one investment to make for your blog just like getting a good blog template for your blog. 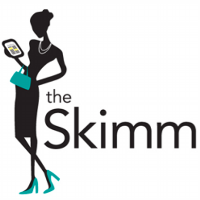 I think of it as more repins = more people visiting that post/my site = more chances to possibly make money if someone clicks on an affiliate link. This price was easy for me to justify for myself once my blog started making more than $15 a month because then it was paying for itself! 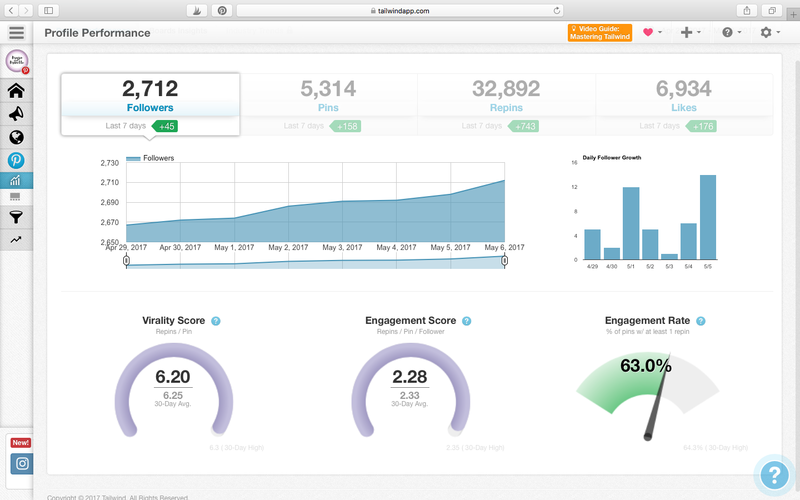 They have a Tailwind app too so you can add literally any web page to your dashboard. This concept is kinda just like Tailwind except for Facebook and Twitter posts. Luckily Bloglovin' shares all of my new posts to Twitter instantly, but I still haven't figured out a way to have it share to my blog's Facebook page and not my personal page (comment below if you know how! please and thank you). So I use Hootsuite to schedule new posts. I just use the free version because the upgraded plan really is for like major companies running social media. They have a free Hootsuite app, too. I also use Hootsuite to repost my old posts. For example, each time around finals I will go through and find all of my finals-related posts and schedule them to be posted to either remind readers about them or introduce the posts to people who started following me after those posts were originally published. This is especially helpful because while right before finals is the perfect time to be sharing this content, I'm busy studying. This way I just set it and forget it. This is the same idea as Pinterest Analytics, but alllll about your blog. Also you should connect Google Analytics with your blog because when you're trying to brand your blog, companies might ask for your stats. 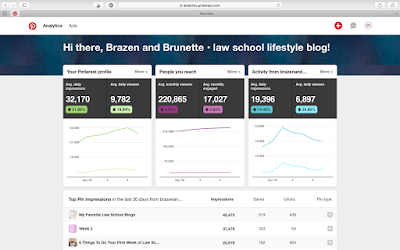 It can show you all kinds of stuff, like how many individuals have visited your blog, how many visitors are returning, how long they stay on your site, how long they stay on a post, how many leave your site immediately... It gets really intense. They have a Google Analytics app that has a simplified summary of all these stats. My favorite email to get are post suggestions/requests. Like did you that a reader was actually the one who came up with this post idea? And I got the idea to write this post after having a conversation with a reader. Even this very post is a result of several readers' comments and emails! Another reason why email is important is that sometimes people will have a question that needs a more in-depth answer than your post, so it's important that you have a way that they can get a personalized response. A good blogger cares about their readers and will make sure they can have that one-on-one time with any reader that wants it. I know right now that anyone who has every emailed me and is reading this right now is loling hard because I always end up sending back an email that's at least 5 times as long as what they sent me! Btw if you use the Questions and Suggestions box on the bottom of the right side, it's a super easy way to email me in one step instead of having to go through your mail app. I recently added a blogging section to my planner, and it's helped so much! I can write outlines of my post ideas as I think of them in Evernote, but I plan out everything else in my planner. I brainstorm post ideas, I schedule what days I'll post what, I keep track of income and expenses for my blog, chart engagement growth. It helps me stick to my goal schedule of S/W/F posts. Also, be sure to check out my post about all of the Blogging Tips I have for new bloggers! It's just a list of things that I've learned over the past year of what works and what doesn't when you're trying to grow your blog.